Cabins are the staple lodging in the Adirondack Mountains, but why not try a “distinctly contemporary” indulgence? asked Kenneth Rosen in The New York Times. Granted, the Hotel Saranac opened in 1927 and still features hardwood and terrazzo floors and a palazzo-inspired grand hall. But after a $35 million restoration, the 102-room property feels tailored to today’s expectations. Each of the “sparse but cozy” rooms and suites has a luxe bathroom with a rainfall showerhead. Downstairs, you can grab venison chili at the bar and grill, or take drinks on a terrace with views of the MacKenzie Range. South African Airways is slashing prices for flights to several cities in South Africa for travel from New York and Washington, D.C., through Dec. 9. Round-trip airfare from New York to Johannesburg, for example, is $889. Book by Oct. 31. 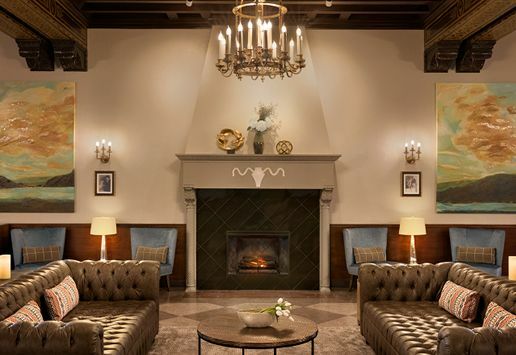 Telluride Ski Resort and the New Sheridan Hotel are offering four nights for the price of three, plus discounted lift tickets, from Nov. 23 to Dec. 17. Rates start at $873 per couple, including three days on the slopes. Book by Oct. 31. Enjoy the cuisine of Puglia, explore the architecture of Venice, and visit the island of Murano during a 13-day trip with Gate 1 Travel, now discounted by $560. Book by Nov. 1 to pay just $2,799. Use code TZWTYAC.